THOR. THOR AND A GIANT PLUSH UNICORN. SO PLUSH IN TEXTURE THAT HE DESIRES TO PERISH. I should have known that, Tiff. My kids love that movie, lol. Its my favourite bit! normally have to rewinf it a couple of times! 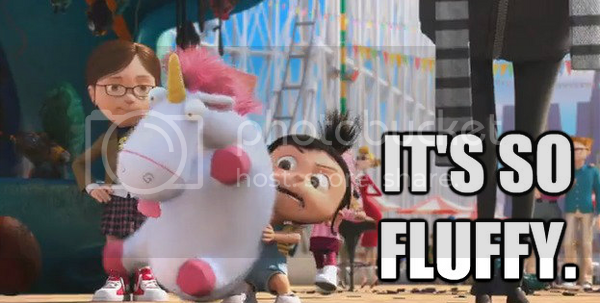 The line is also from the movie - It's so Fluffy I could die.